Tango is a technology platform developed and authored by Google that uses computer vision to enable mobile devices, such as smartphones and tablets, to detect their position relative to the world around them without using GPS or other external signals. This allows application developers to create user experiences that include indoor navigation, 3D mapping, physical space measurement, environmental recognition, augmented reality, and windows into a virtual world. We are aware CES 2017 is going on at the moment so, yesterday everyone’s eyes were on Asus’ event. There were news about a new Zenfone, but it wasn’t clear if it was going to be Zenfone 4 or any other variant of Zenfone 3. But, Asus launched something that left everyone stunned. The Asus Zenfone AR. This is also a Tango-enabled phone, but unlike the Lenovo Phab 2 Pro, it has flagship specifications. The Zenfone AR could be the most powerful and fastest device we have ever seen so far. As the name indicates, this phone is based on ‘Augmented Reality, a true’ and it is a Daydream-ready device. One of the highlights of the device is the massive 8 Gigs of RAM. Yes, you read right. This phone comes with an 8GB RAM that makes Asus Zenfone AR the very first phone with this much amount of RAM. Now, let’s have a look at some other features of this phone that make it a true ‘beast’. 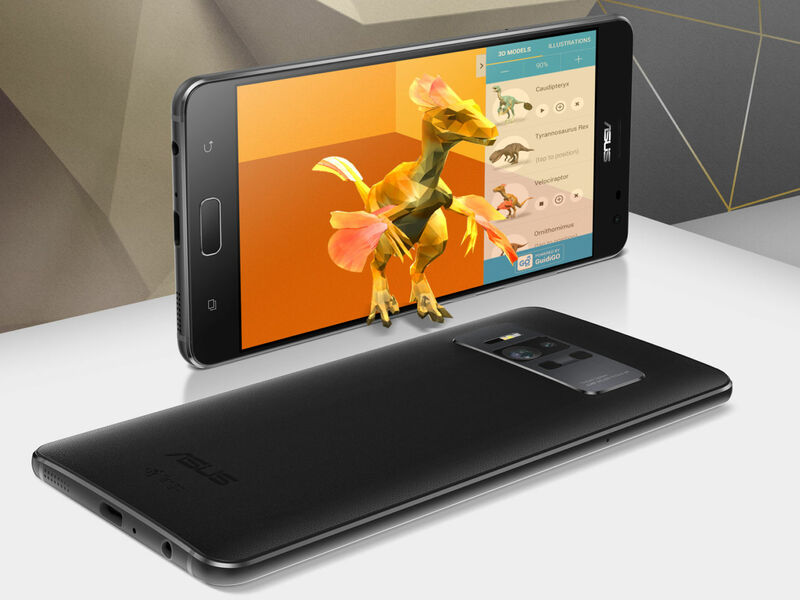 The Zenfone AR sports a 5.7-inch Quad HD display with a resolution of 2560×1440 pixels. The bezels are quite thin which contribute to the 79% screen-to-body ratio. For the protection, the screen has Corning Gorilla Glass 4. The display comes with Tru2life technology for high contrast and outdoor readable. Coming to the processor, the Zenfone AR rocks a 64-bit Qualcomm Snapdragon 821 processor clocked at 2.35GHz with the Adreno 53GPU. Under the hood, there is the gigantic 6/8GB of RAM and UFS 2.0 32GB / 64GB / 128GB / 256GB internal storage. Also, in case you want to expand the storage, you can do that up to 2TB. 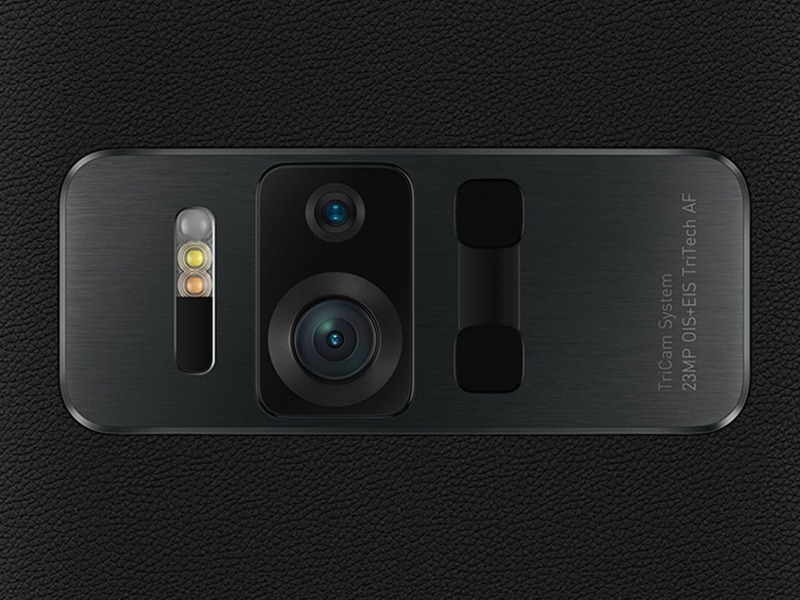 Coming to the camera, there is a 23MP camera with f/2.0 aperture and Laser AF. Some other camera features include Fix Focus, Auto Focus,0.03 second laser auto-focus,32 second long exposure, Close-up macro photography (5 cm),3X optical zoom / 12X total zoom,4-axis, 4 stops Optical Image Stabilization for steady photos,0.03 sec Ultrafast TriTech autofocus,Ultra-fast 0.03 sec TriTech Focus System : Phase Detection AF / 2nd gen Laser AF / Continuous AF,Color correction (RGB) sensor for the best white balance and natural-looking colors,RAW file support,Blue Glass IR Filter,Zero Shutter Lag ,LED flash,Dual-LED real tone flash. Also, not to forget that there are Tango Sensors there for motion tracking. The front camera is of 8MP with f/2.0 aperture and 85-degree wide viewing angle.